Hello! I’m so happy you are here. I’m Sarah – a wife, mother, writer, and lover of beauty, inside and out. I recently relocated with my husband, 12-year-old son, and 8-year-old daughter from the beaches of Southern California to Oklahoma, where, indeed, the wind comes sweeping down the plain. I started this blog in 2005 on a whim, and many years later, am still writing about my favorite things. 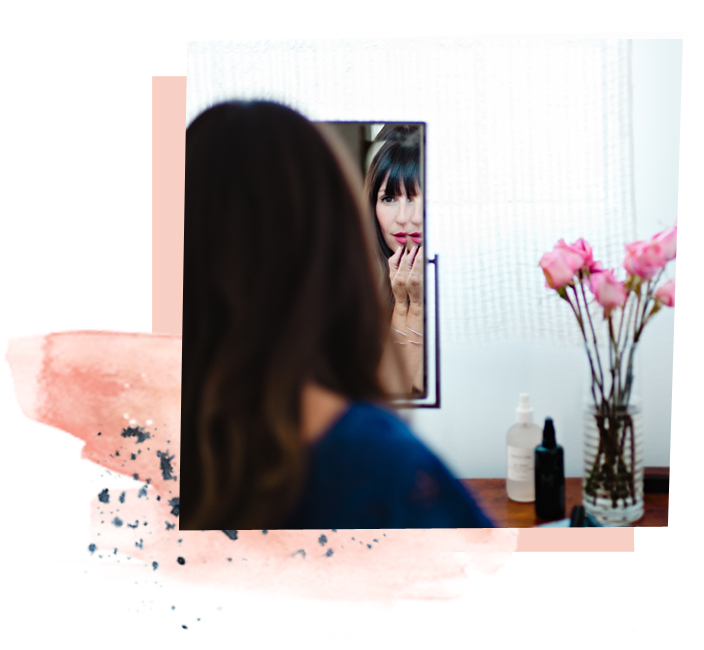 Namely, clean and safe beauty products, perfectly disheveled hair, closet cleanses (I’ve been known to dabble in a capsule wardrobe or two), preparing healthy foods, exploring yoga and mindfulness, and ultimately, living with fewer (yet better!) things. Clean and simple is my jam, but I’m a total information addict lifelong learner, so I love to share my finds with you. For questions, collaborations, or to request a media kit, please contact me at sarah@whoorl.com. See below for press mentions and/or appearances.